COMMENTS: Great size for giving away samples of lip balms, scrubs and lotions. Snaps shut securely and I love that the lid is attached. Black is a true black. Great bargain and easy to use. Has an impressive appearance for what it is. "These are nice as a packaging option for newbies"
COMMENTS: I would say as a beginner these are great. The lip balm will get on the lid if you fill to the rim on these. They are some what difficult to open once closed completely. But great value. • Make easier to open and close. COMMENTS: I am going to use these for samples of the healing salve that I make. Perfect size to carry in a purse or diaper bag. COMMENTS: Perfect size for samples, Love the fact they are all black and go well with my line. People like the fact that they are resealable! COMMENTS: These were the perfect size for lotion samples. Lids snap down securely. Highly recommend. COMMENTS: I initially ordered these containers in the natural, and because the name of my business it was a better match to get the black. 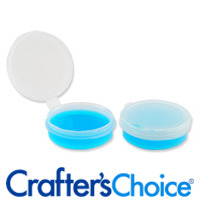 I love them because they are just the perfect size for packaging lip balm to samples of lotions and face cream. They look so clean crisp and professional, I really like them. COMMENTS: I purchased these on a whim & ended up using them for my lip balm experimentation. They worked out great & I have given many of these away & had requests to purchase the product in this packaging, because it's a good size & has the closure attached to it. All you do is pop it open & you have your product. I actually had my lip balm melt & it held the melted product without it spilling out. They are large enough for small product labels on the top, which I purchased from another vendor. 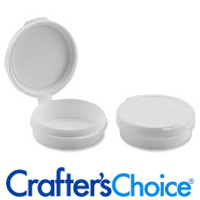 I have since also used these as sample containers to pass out to people for my body butters. I am considering doing the same with a scrub. The best thing about these, aside from the fact that I love the size & convenience of the attached closure, is they are so affordable! COMMENTS: We use these to mail and hand out samples. These are a great size for inexpensive PO pricing. The black is great with a round label on top to describe the sample. "For the 1/4 oz LDPE Polycon - Black set, could I use a press & seal liner? If so, what size would be best?" Staff Answer these polycons are not compatible with our press and seal liners. 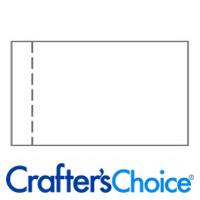 "Can a sifter insert be purchased for these? I'd like to use them to hold loose eye shadow!" No, they do not sell a sifter for this size. They do sell press and seal disc liners to prevent leakage, but they would have to be removed completely before use. "I'm considering using these to sell lip balms in...I've already used them as samples for lip balms & they work perfectly & I've found lables that fit across the top. My question is how many ml exactly do these containers hold?"